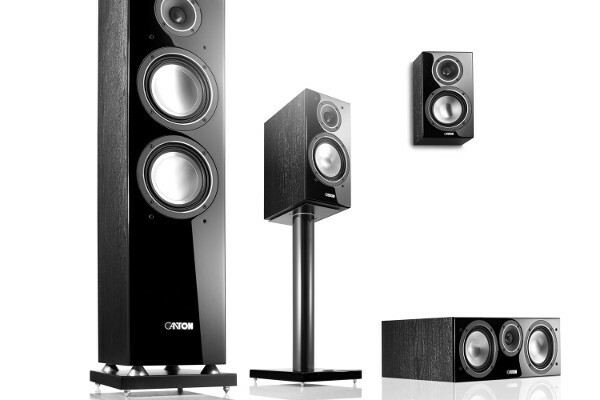 Canton's in-house SC technology defines redefines the relationship between speaker volume and bass reproduction using individual filter switches and extends the speakers? transmission range by an octave and more downwards - and this with unbelievable level consistency. With its further development of SC to RC technology, Canton has achieved exemplary frequency curve. RC stands for ?Room Compensation?, i.e. 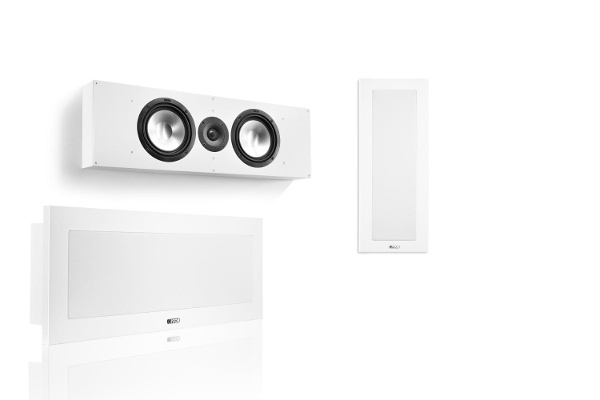 compensating for influence of the space and adjusting the musical sound to specific characteristics of the space. The top of the range Canton speakers are equipped with a bi-wiring/biamping connector panel. This connection method allows the upper midtone range and high frequency range to be controlled separately through two amplifiers (biamping) or through separate cables through one amplifier (bi-wiring) as preferred. The treble chassis is primarily responsible for the tone and sharpness of reproduction. 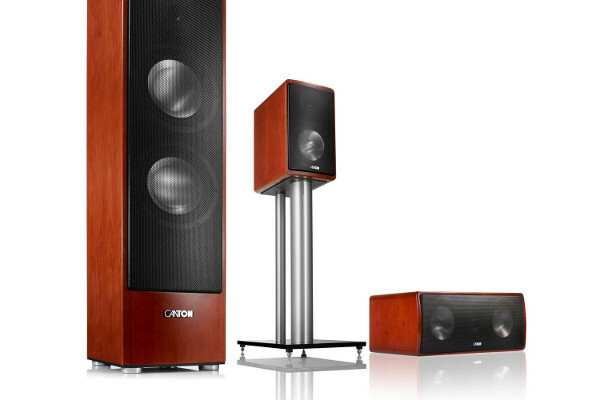 In canton speakers the Treble chassis is always a cup system, i.e. a system with a dome-shaped loudspeaker membrane driven by a speech coil. 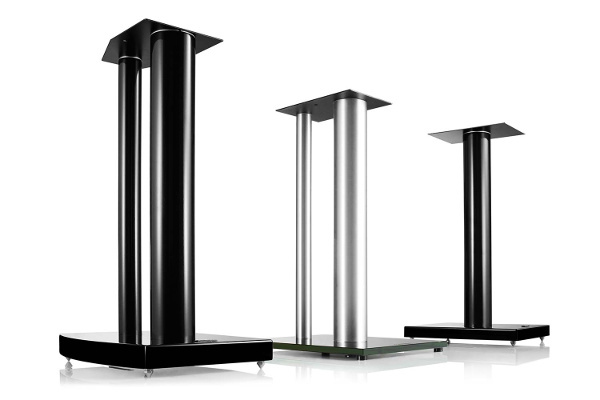 The midtone chassis reproduces the musically most important ranges of the voice. 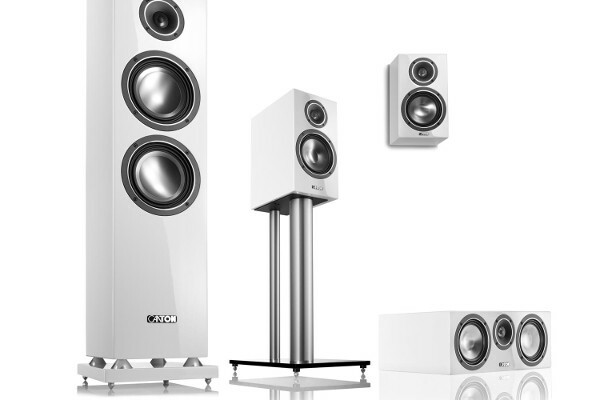 In its high-grade Karat and Ergo Series speakers Canton uses rapid impulse and warp-resistant aluminium membranes to achieve optimum output. It is the bass chassis of a loudspeaker that actually has to perform the hardest work. Powerful magnets, stable, die-cast cradles, high-capacity polypropylene speech coils and membranes are crucial to sound quality and bass precision. 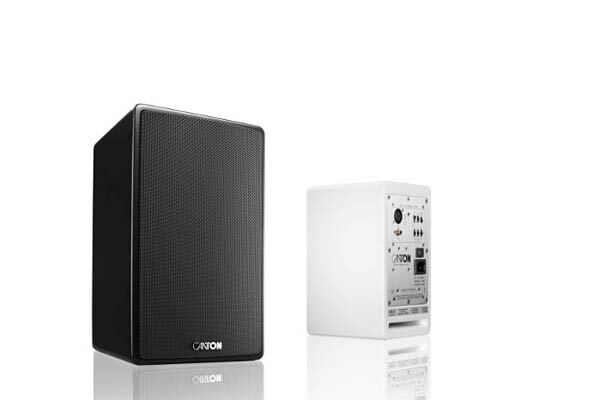 In addition to the usual two and three-way loudspeakers, Canton also uses coaxial technology loudspeaker systems, for example with small satellite speakers. The tweeter rests on a bridge centred in front of the woofer (midtone loudspeaker). 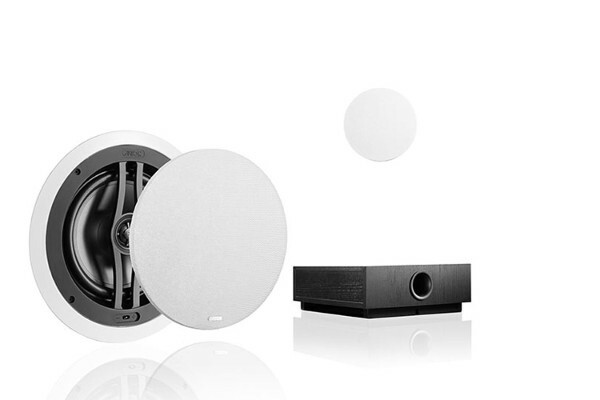 These systems very closely approach the ideal of a crater shaped sound source. The diplexer is a component in the loudspeaker that splits the audio frequency into sub-areas. The individual areas are then relayed by the specialist, individual loudspeakers (high frequency, midtone, treble). 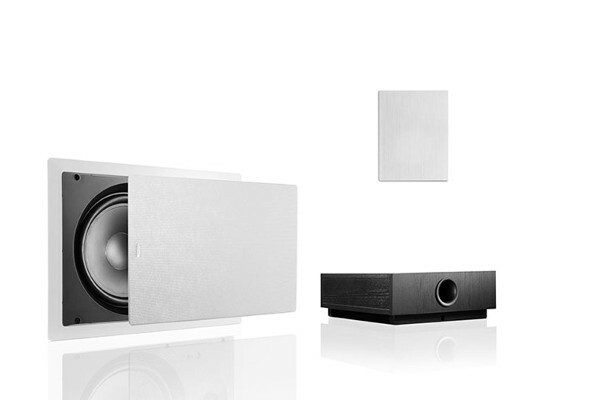 Both the front loudspeakers project the left and right sound channel and form the basis of cinema sound. 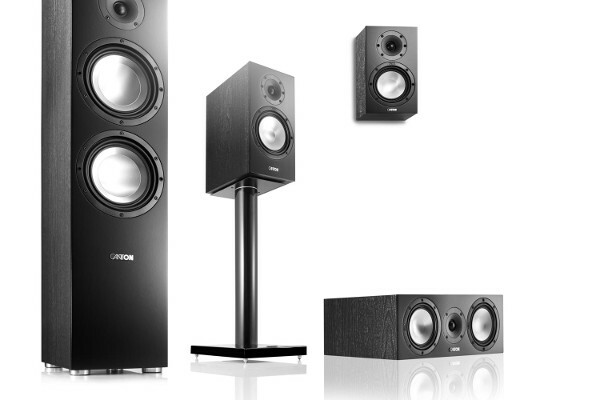 All Canton Hi-fi speakers can be used as front Loudspeakers as they reproduce the full frequency spectrum in rich detail and dynamically. 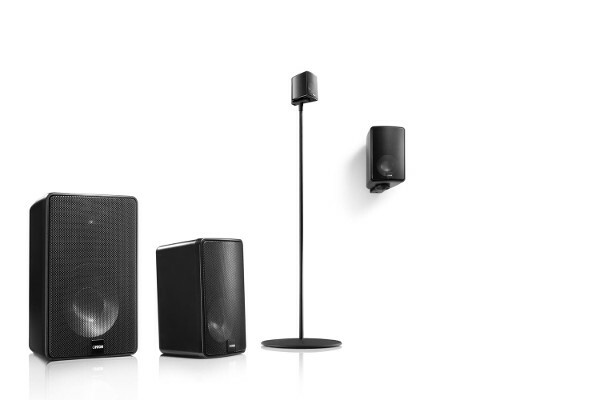 As an addition to the front loudspeakers the centre speaker forms an independent central channel that is specifically responsible for speech reproduction. 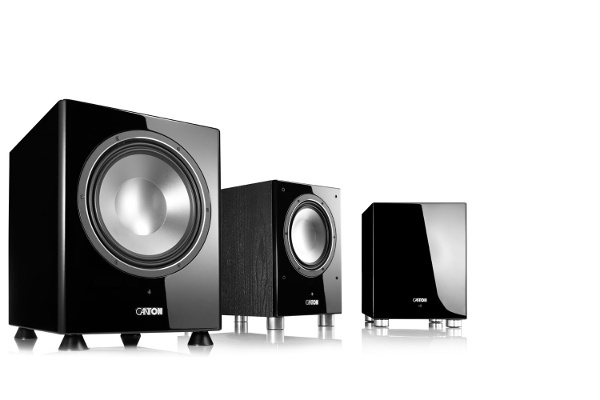 As the centre speaker is near to the television set, all Canton models have magnetic shielding to avoid colour defects or distortion. he surround boxes are responsible for the sound depth. They are located to the rear of the auditory area. To produce top-quality effects they should be tuned to the other equipment components. 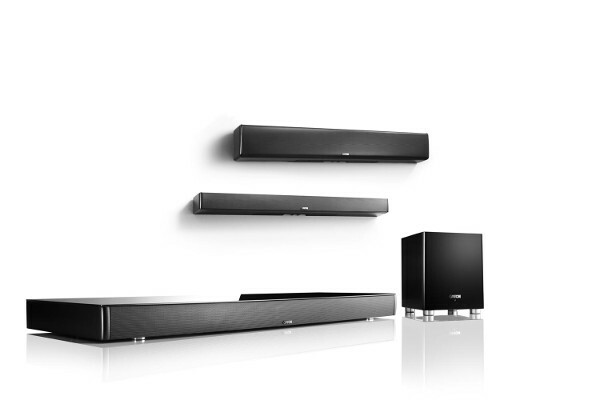 For deep tones home cinema units are supported by an active subwoofer. Canton?s active subwoofers can be tuned to the stereo loudspeakers and to the size of the room to suit personal listening taste. The impedance is the electrical resistance that a loudspeaker represents for the amplifier. In accordance with the standard this ?nominal impedance? may not be more than 20 percent below the transmission range at any point. The nominal power loading is the maximum output with which a loudspeaker can be loaded without being damaged. The musical power loading, however, is the value to which a loudspeaker is subjected for a short time. The nominal output is the output that a power amplifier can deliver over a long period without being damaged. The musical output is the peak value that a power amplifier can deliver for a short period. The sound pressure level is the relationship between electrical power input and radiated acoustic output of a loudspeaker. A measurement is taken, for example, of the operational output required to produce a set acoustic pressure at a distance of 1 metre from the speaker. 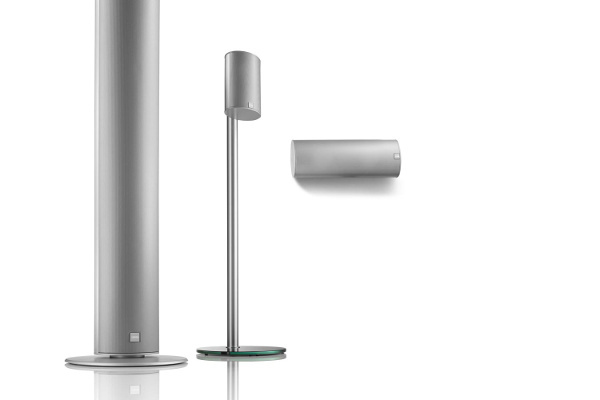 To look at it the other way the SPL (Sound Pressure Level) gives the acoustic pressure that the speaker produces at a distance of 1 metre with an electrical power input of 1W. The transmission range is the frequency range within which within which the loudspeaker - within the limits of set tolerances - reproduces identical sounds identically in corresponding circumstances. The frequency response identifies the frequencies at which reproduction passes from one chassis to the next with multi-path speaker units. DVD-Video is a DVD that is played through video signals (Digital Versatile Disc). As a further development of the CD-ROM the DVD has a much higher storage capacity and processing speed. DVD-Audio is a new music format that uses the high storage capacity of the DVD to play music recordings at the highest quality on six channels. The advantage of the DVD-Audio is primarily in its improved sound quality. There are also functions such as playing music videos and song texts or interpreter?s notes that a CD cannot offer. The CD-A can record up to 400 minutes of sound in CD quality (44.1 kHz/16 bit) and up to 74 minutes of top quality 6-channel surround sound at 96 kHz/24 bit. In 2-channel mode the DVD-A increases the limit of scanning rate to 192 kHz. 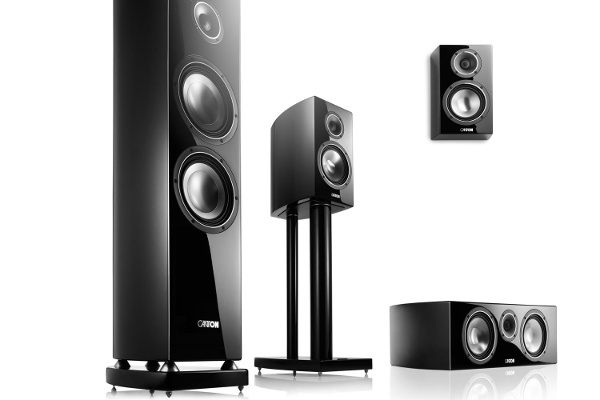 This gives a tremendous dynamic range of 144 dB as opposed to the CD?s 98 dB. Like the DVD-Audio the SACD (Super Audio CD) offers the highest level of music reproduction. The SACD was actually developed for music and, unlike the DVD, not for video as well. As opposed to a standard CD it provides a natural, high-quality sound. It differs to the CD in the way in which the digital information is captured on the disc. Thanks to a sampling rate of 2.8 MHz (CD: 44.1 kHz) the sound data is scanned more faithfully and precisely. The SACD?s frequency curve does not end until 100 kHz (CD: 20 kHz) and its maximum dynamic is 120 dB (CD: 96 dB). As opposed to the DVD-Audio SACDs can also be played on standard CD players - but only at CD quality, of course. This is possible through the SACD?s double layered construction: each disc has one layer with the SACD information and a layer that is played with the slightly worse CD information. Every SACD player can, of course, also play standard CDs. Previous designation for Dolby Digital. AC-3 stands for Audio Coding 3, the coding process that is used for Dolby Digital. In this analogue record and playback process developed by Dolby Laboratories Inc, two (rear) FX channels and one centre (= dialogue) channels are mixed when recording on the stereo track. The advantage: the voices now come acoustically from the television. To play back all five channels requires a Dolby Surround Decoder. In this further development of Dolby Surround Prologic the sound channels are digitally recorded. 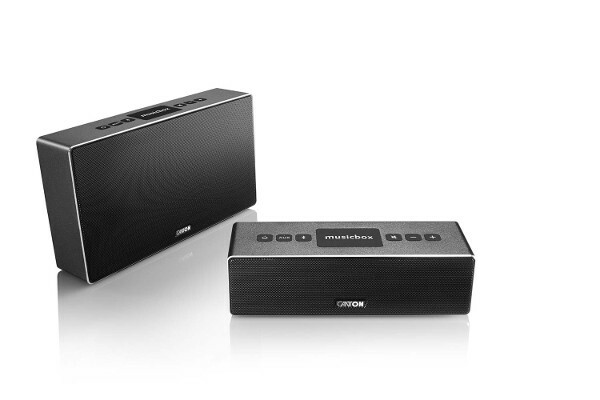 Compared to Dolby Surround Prologic two separate FX channels and a subwoofer channel improve the spatial experience. To be able to play videos at higher sound quality, Dolby Prologic II was developed by the Dolby Labs. It represents the successor to Dolby Surround Prologic. The analogue multi-channel standard has improved Matrix-Surround Technology that provides more realistic surround sound and a better directional effect with Dolby Surround and stereo recordings. With Dolby Digital Surround EX a third surround channel is added to the Dolby Digital format. This third channel is played back through a surround loudspeaker on the rear wall. The left and right surround loudspeakers are on the side walls. The advantages include more realistic effects, for example, in scenes with objects that are flying by or overhead..
Digital Theatre Sound (DTS) is a further 5.1 surround format that was developed by Digital Theater Systems Inc. However, the number of DVD films with DTS sound is still very limited, whereas Dolby Digital is much more widespread in Europe. This is primarily because the committee for establishing sound formats (DVD Forum) had already decided on Dolby Digital as the standard format when Digital Theatre Systems announced that it was also going to make its format available for DVD. Compared to Dolby Digital, DTS has very little data compression, which has an advantageous effect on the sound but also requires a great deal of storage space. 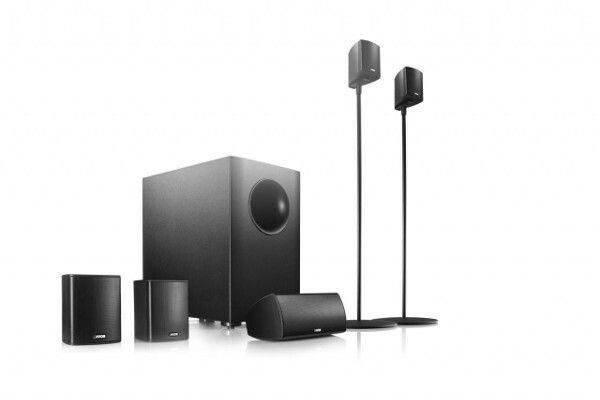 Digital Theater Systems have also introduced a 6.1 channel system, known as DTS ES 6.1 into cinemas and home cinemas. ?ES? 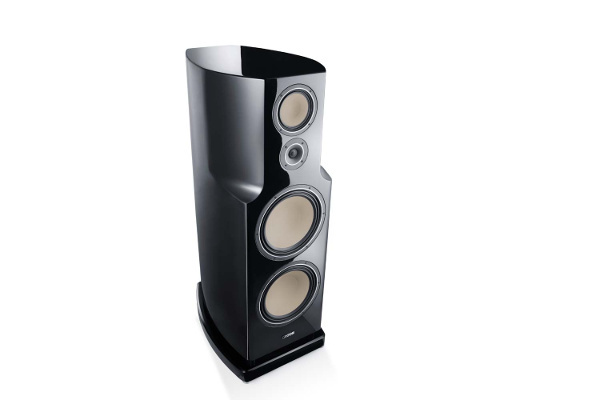 stands - similar to Dolby Digital Surround EX - for Extended Surround. The technical innovations are almost exactly the same as with Dolby: again the surround area is expanded by an additional centre channel. The merits of this format are found in optimum FX sound that even can be appreciated by viewers sitting to the far right and left. The further development of DTS ES 6.1 is called DTS ES 6.1 discrete and will replace DTS ES 6.1 in the future.